Garth Brooks was coming on stage in an hour, and all down 104th Street the businesses were packed – all the ones serving dinner and drinks, that is. As a steady stream of concert patrons made their way from the LRT station on Jasper Avenue, most of the eateries filled to capacity. There were a few exceptions: Cavern had a couple tables open, Stage 104 was inexplicably closed, and the newly opened Bündok only had a few tables of diners. The lunchtime places and retail stores were either empty or closed. As the concert time approached, Brooks fans began leaving just as quickly as they had arrived. An hour after show time, foot traffic on the street had diminished considerably. The fine dining restaurants (Rostizado, Baijiu, Tzin) maintained steady patronage – obviously not many Garth Brooks fans had stopped in there before the show. Kelly’s Pub, previously packed, was less than half full. Mercer’s Tavern, which had been wall-to-wall right up until the concert started, was nearly empty. After the concert, Mercer and Kelly’s filled back up again. The fine dining restaurants were cleaning up and closing. The storefronts of the retail stores and lunch cafes had been dark for hours. 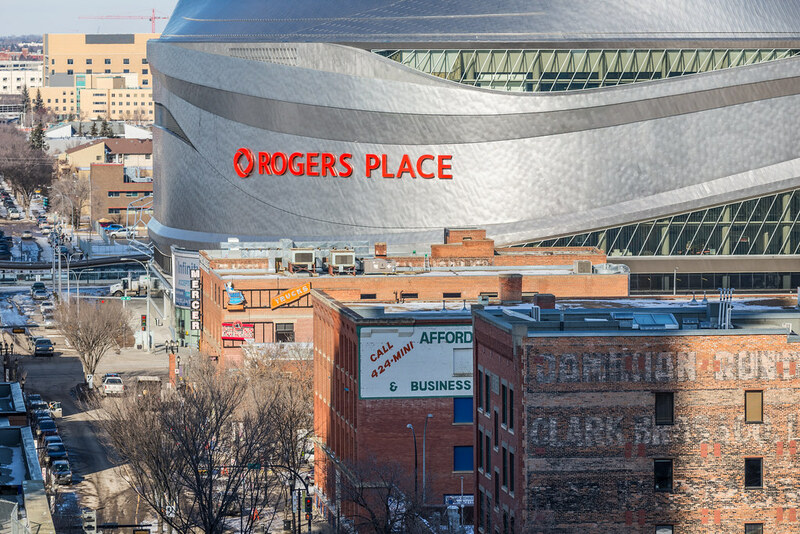 Events at Rogers Place certainly have a tangible impact on some of the businesses along 104th. 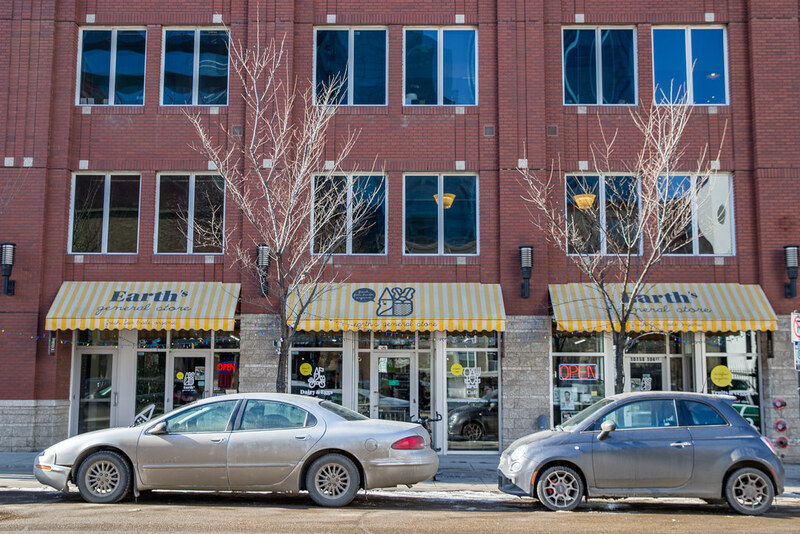 But there’s a disconnect between the rent landlords expect on 104th Street and the money businesses can realistically make there, which has led many to close or move – despite the revitalization of the street and the opening of Rogers Place. Revitalization had started on 104th Street (to the left in this westward-looking shot of 104th Avenue), before Rogers Place was built. Part of the reason for that is the misperception that it’s easy to make money on a street that has had so much attention. It’s also partly because some of the businesses that were attracted to the street aren’t what residents, office workers or arena-goers are looking for. Gaspar, who owns Blunt Salon, could have been considered one of 104th Street’s success stories. He successfully ran his salon on 104th from 2008 to 2016, until deciding to relocate to Oliver in order to stay in business. While he ostensibly left due to high rent, he feels the real problem is the media hype: 104th has an image of success that’s not necessarily grounded in reality. Allison MacLean, owner of Carbon Environmental Boutique, tells a similar story. She opened her shop in 2009 and then relocated to High Street just off 124th Street in 2014, citing weak traffic and increasingly high rent as her reason for leaving. Compared to a few other areas in town, 104th Street rents don’t seem that bad. 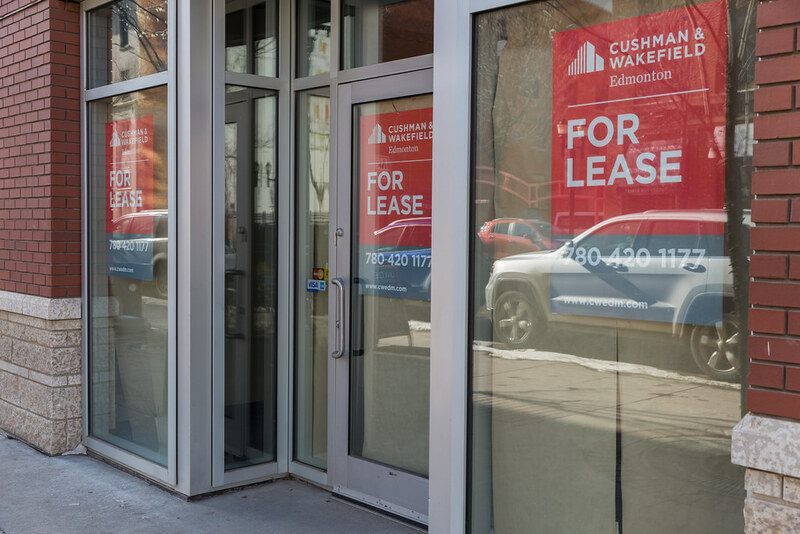 The problem for many of the businesses that have closed or left the street – like Blunt and Carbon – is that they opened during a period of major announcements in the downtown core. The arena deal became official in 2013 and is obviously the most prominent of these announcements, but Volorney notes that there has also been a number of office consolidations and other real estate developments. That means businesses could have had a sustainable business model when they opened, but changed due to the impacts of speculation concerning downtown’s changing landscape. For Lease signs are a familiar sight along 104th Street. Others feel that there’s actually nothing unusual about what’s happening on 104th. O’Donnell is the executive director of the Downtown Edmonton Business Association. He attributes the closure and movement of some businesses away from 104th as simply the natural ebb and flow of the market. 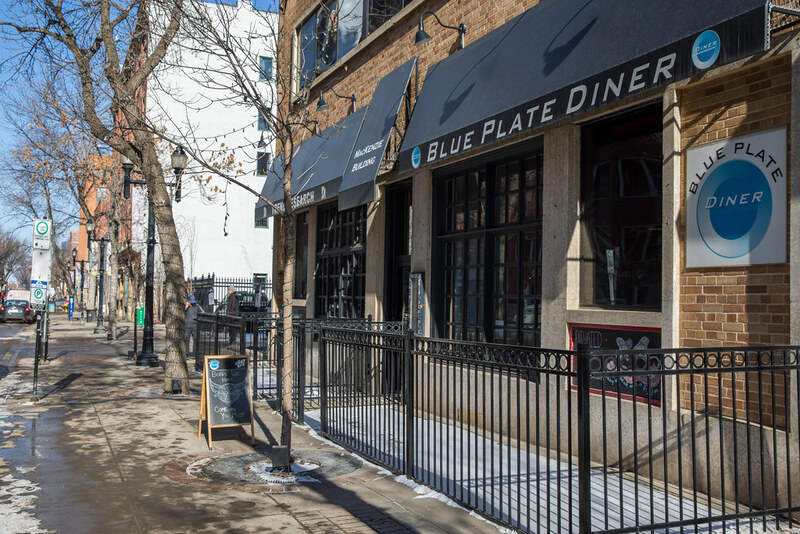 Blue Plate Diner opened on 104th Street in 2004. When I started working at the brand-new deVine Wines & Spirits back in 2005, we only had a handful of retail neighbours: Blue Plate, Hole in the Wall Cafe, Ric’s Grill. The newly renovated Phillips Lofts were attracting some new residents, but the large-scale condos that would open in subsequent years – the Century, the Icon Towers, and soon, the Fox Towers – were only twinkles in their developers’ eyes. But within a few years, the street really started to feel different. 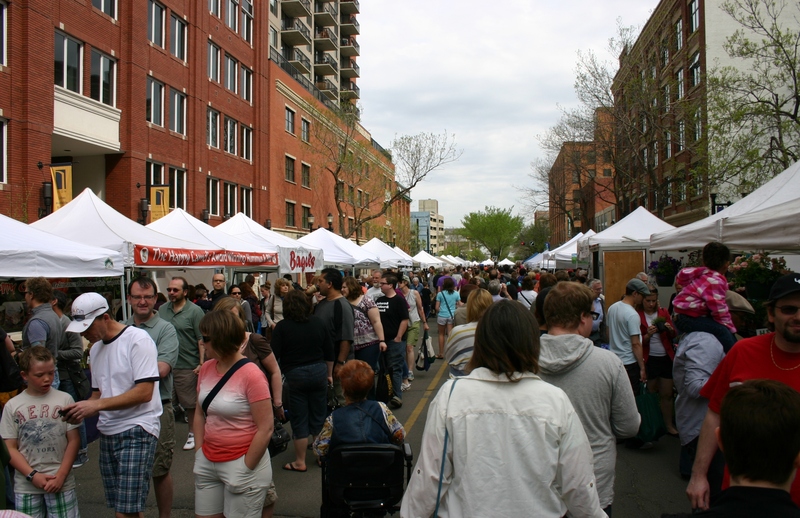 The arrival of the City Centre Farmers’ Market in 2004 brought throngs of people downtown every Saturday in the summer. The derelict Cecil Hotel was demolished and a new building raised in its place; Sobeys Urban Fresh opened on the main floor of that building in 2008. More retail shops and places to eat opened. Suddenly, 104th seemed like it was transforming into a fully walkable paradise of mixed-use residential, right in the heart of downtown. The street teems with people when the market is open on Saturdays from May to October. But it didn’t quite work out that way. Many of the retail stores closed or left. Sobeys closed. Earth’s General Store thought it could fill the gap, but is currently on the verge of closing. Pangaea – which occupied the same space prior to Earth’s – didn’t work out, either. Michael Kalmanovitch, owner of Earth’s General store, has been very vocal about the difficulties he has faced on 104th Street since opening in 2014, right after Sobeys announced it was closing. He’s on the brink of closing now and notes that it has been an uphill battle ever since opening – and yet he still encounters people who think he must be doing well due to the supposed nature of 104th. Kalmanovitch notes that while the architecture of 104th might lend itself to a trendy urban vibe, the reality is that no one comes to the street to browse. And even if they wanted to, they couldn’t, he explains, as many of the buildings have smoked glass windows, making it difficult for passersby to see inside. Earth's General Store is on the brink of closing. Hall agrees that another perception problem common to both 104th and downtown in general is that there’s no parking, and few people seem willing to embrace pedestrianism. MacLean agrees that for 104th Street to thrive (as well as many similar corridors in the city), it will require moving past the North American fixation on personal transportation as the only means of getting around. She also thinks Edmonton needs to fully eradicate the lingering 1980s mentality that downtown is boring and that we need to rethink our approach to retail shopping. 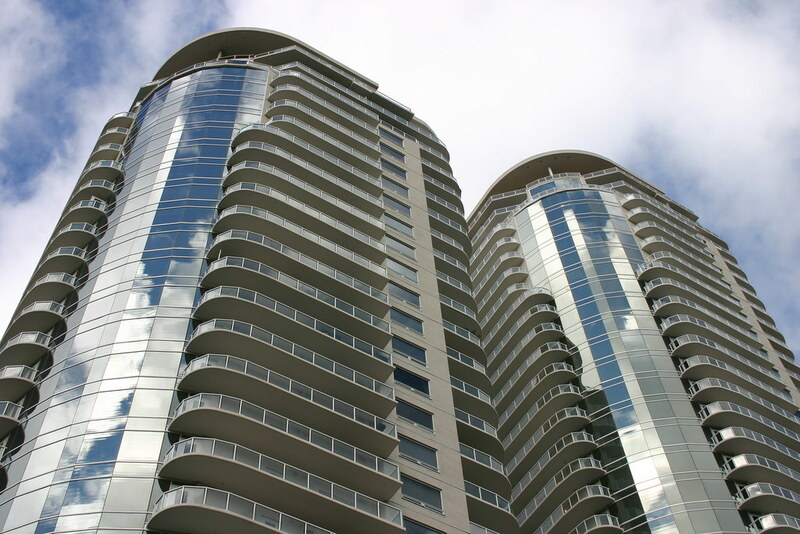 The Icon Towers opened on 104th Street in 2009 and 2010. Maybe part of the problem is that we’ve never quite decided whether this part of downtown is meant to be a destination or a home. The first revitalization efforts seemed focused on creating that mixed-use residential neighbourhood; the arena shifted the conversation to destination. So now we have both. Census data doesn’t have any population numbers specific to 104th Street. Based on the number of suites in the condo developments along the street, there are probably more than 1,000 people living on 104th. Over 400 more will move into the Fox towers once they are completed. There are also a number of office workers in the spaces above the street-level retail down the length of 104th, which account for a boost in weekday pedestrian traffic. The big question is how many of the condo residents drive – and therefore, how many are looking for daily services within walking distance of their home. 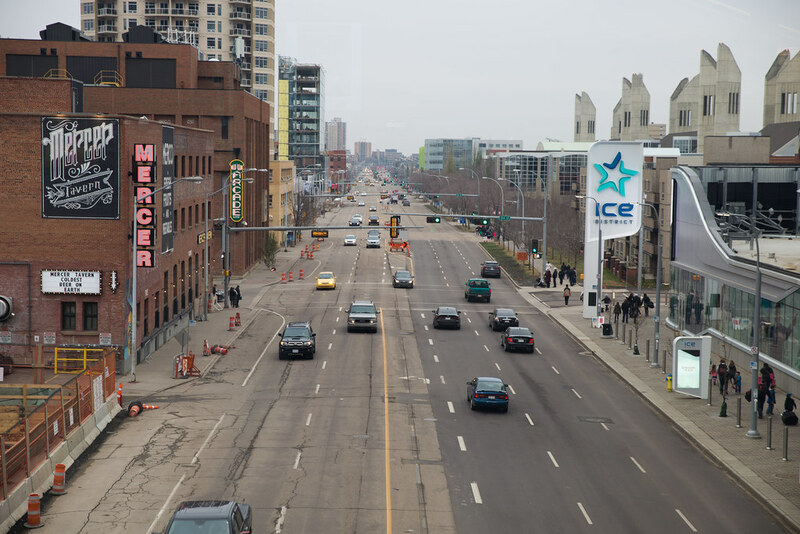 104th Street has proven that it’s a sustainable home for destination-based retailers and eateries that appeal to the arena crowd, but less so for places that rely on a robust number of local residents and sustained pedestrian traffic. The arena has attracted some of that much-desired foot traffic to the street. Blue Plate Diner has a mini-rush on game and concert nights until about 7 p.m. – after which time you’ll have your pick of tables. Williams has also had to tailor his menu accordingly: On game nights he does brisk business in burgers and lagers, and little else. Rogers Place looms large near 104th Street. People going to a hockey game or music concert aren’t going to pick up a bag of groceries or do some shopping, either. While it’s still too early to say for sure, it seems unlikely that the arena will have a tangible impact on all businesses in the area. Instead, it’s going to continue to narrow the focus on business that cater to a burger-eating, lager-drinking hockey and music crowd. In the meantime, there’s an onus on landlords to decide what type of street they want to help create. This story was inspired by a question seeded by a member in Taproot Edmonton's Story Garden. If you have a question about how or why something happens in Edmonton, or you would like to see what others are curious about, join Taproot. You’ll help us put another story like this into the world. The following list details the businesses that have left 104th Street from 2008 to the present, with the reason for their departure or closure (if known). Lit Wine Bar Restaurant 2010 2014 ? Pangaea Grocery 2012 2014 ? The Burg Restaurant 2013 2016 ?